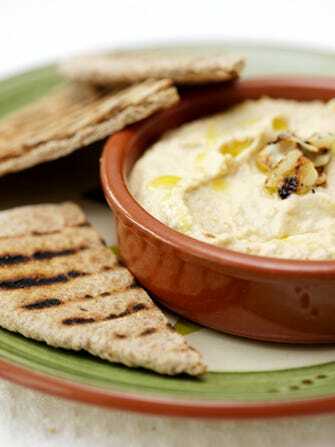 There's something about the word hummus that never fails to set health-conscious hearts aflutter. The mere whisper of a "killer" or "super-simple" new hummus variation elicits a flurry of clicks, Facebook "likes," and lovey-dovey comments. But, if you buy your smooth chickpea paste products at Trader Joe's, we have a bit of potentially scary news. The FDA has announced that Lansal, Inc., which manufactures hummus and other dips for a number of retailers including Trader Joe's, has issued a voluntary recall of more than 14,000 pounds of product because of possible listeria contamination. The recall applies to a handful of hummus and dip products, including TJ's Edamame Hummus and 5 Layered Dip, with use-by dates between April 15 and July 11. Note that this is just a voluntary recall, a "precaution" that's probably more about due diligence than actual risk. Still, as the FDA points out, listeria is not exactly a walk in the proverbial park. A bacteria that can grow even in cold temperatures (like your refrigerator), it can cause "serious and sometimes fatal infections in young children, frail or elderly people, and others with weakened immune systems." The agency warns, "Although healthy individuals may suffer only short-term symptoms such as high fever, severe headache, stiffness, nausea, abdominal pain and diarrhea, listeria infection can cause miscarriages and stillbirths among pregnant women." Head over to the FDA to see if you're included in the recall. Honestly, you're probably better off making your own hummus, anyway.